This article provides several tips and important information for dealing with insurance adjusters after you have been involved in an accident. Being involved in a car accident, bus accident, trucking accident, motorcycle accident, or any other accident with serious injuries can be devastating. In addition to the ever-rising medical bills, you are left to struggle to meet the costs demanded of daily living: paying the rent, buying food, and taking care of your family and children. When you are facing serious accident injuries and tremendous medical bills, you may be tempted to accept the first personal injury settlement offer presented to you by an insurance company or insurance adjuster. This article will hopefully provide you with valuable information about how to deal with insurance adjusters after accidents. The first accident injury settlement offer an insurance adjuster makes is usually on the low end, even if it sounds like a lot of money to you. Remember, insurance adjusters work for the insurance company and are trained to settle claims for the least amount of money possible. This is their business. 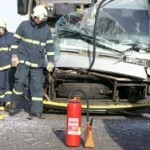 Hiring an experienced Florida accident injury attorney can help level the playing field for you and your family. Our firm’s aggressive Florida accident injury attorney team consists of strong advocates fighting for your best interests in obtaining you maximum compensation for your insurance settlement. any other out-of-pocket expenses you may have incurred as a result of being involved in an accident. When an insurance adjustor contacts you to “help you settle your claim,” remember that he or she may try to get you to say things that will minimize the value of your claim. 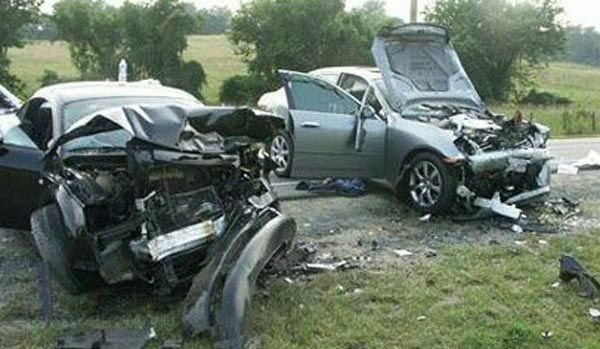 For this reason, it is important to have an experienced Florida accident injury attorney that knows how to deal with insurance adjusters after accidents and either negotiate a settlement or file an accident injury lawsuit on your behalf. Even if you try to cooperate with the at-fault party’s insurance company, your statements may be used against you and misconstrued to diminish the amount of money that you are legally entitled to receive for your accident injuries. Insurance adjusters also commonly try to contact accident victims soon after an accident before the victims are able to fully assess their injuries and/or damages. Often times, injuries take time to show up and are not discovered immediately after an accident. Some injuries even require significant treatment into the foreseeable future. By executing a waiver or any documents proposed by the insurance company before you are unaware of the full extent of your injuries and how they may impact your future, you may waive your right to receive compensation that could help get you back on your feet and back to work. It is best to refuse to speak to an insurance adjuster until you consult a qualified Florida accident injury attorney about how to deal with insurance adjusters after accidents. After reaching a fair settlement with an insurance company, you may be asked to sign a “Release and Waiver” form. This form prevents you from filing additional claims or additional lawsuits in the future and asks you to give up certain rights that you may otherwise be entitled to. It is a good idea to have an experienced Florida accident injury attorney look over a “Release and Waiver” form before you sign it to make sure your best interests are protected. 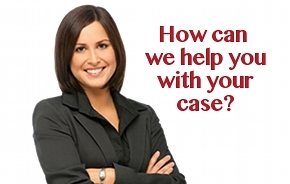 A sound practice is to hire an attorney to handle all communication with an insurance company or insurance adjuster. Our experienced accident injury attorneys are generally able to settle accident injury claims for more money than accident victims who try to settle claims on their own. Remember, if you have been injured in a car accident, bus accident, trucking accident, motorcycle accident, or any other type of accident resulting in serious injuries, please call our experienced Florida accident injury attorneys toll free at (888) 252-0048 to receive a free consultation for your accident. This entry was posted in Bus Accidents, Car Accidents, Motorcycle Accidents, Pedestrian Knock Downs, Truck Accidents and tagged bus accident settlements, car accident settlements, how to deal with insurance adjusters, how to obtain an accident injury settlement, motorcycle accident settlements, trucking accident settlements on April 10, 2012 by admin. Have you been injured in a Florida pedestrian knock down accident? There is no excuse for a driver to hit a pedestrian. If you or someone you love has been injured in a Florida pedestrian knock down accident, you are entitled to compensation. 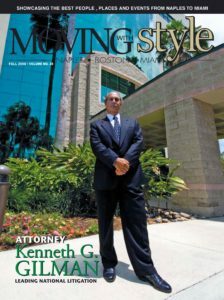 The Florida pedestrian knock down accident lawyers at our firm offer a free consultation to victims of these incidents. According to the Federal Highway Administration, an estimated 6,000 people are killed and 90,000 are injured each year in pedestrian knock down accidents. The injuries sustained because of such accidents are often very serious, leaving victims with substantial medicals bills. They may also be permanently disabled and unable to work because of their injuries. Pedestrian knock down accidents are almost always the fault of drivers. They are often the result of drivers who speed, run traffic signals or fail to yield the right of way to pedestrians. If you have been victimized by a driver in this way, we urge you to contact one of our Florida pedestrian knock down accident lawyers today to protect your legal rights. Even when the behavior of a pedestrian contributes to an accident – for example, when a pedestrian has stepped out into traffic – drivers have a responsibility to watch the road in front of them and obey traffic laws. Our Florida pedestrian knock down accident lawyers investigate these incidents in order to expose driver negligence, speeding, distractions, and other factors that played a role in the accident. This entry was posted in Pedestrian Knock Downs on January 13, 2011 by admin. According to the National Highway Traffic Safety Administration (NHTSA), in 2001 Florida led the nation in pedestrian knock down accidents. That year, 449 pedestrians in the state were killed as a result of these tragedies. About 18 percent of all pedestrian accidents are hit-and-runs. Almost two-thirds of accidents occur on city roads, and nearly half occur in the hours between 6 p.m. and midnight. Children and the elderly are most at risk of being injured in pedestrian knock down accidents. Florida has the highest percentage of pedestrian knock down victims over the age of 65. Almost half of all deaths resulting from pedestrian knock down accidents occur between 3:00 p.m. and 4:00 p.m. when children typically are returning home from school. 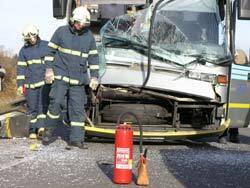 Driver negligence or recklessness is often behind pedestrian knock down accidents. Many speed in residential areas where children are playing. Some drivers turn right on red lights without looking to see if a pedestrian is attempting to cross there, or back up out of a driveway or a parking space without first checking behind them. Drivers always must yield to pedestrians, yet many don’t, hitting those who walk in crosswalks, intersections or parking lots. Many pedestrian knock down accidents occur when drivers are talking on their cell phones or texting. They may be under the influence of alcohol or drugs when a pedestrian knock down occurs. When a pedestrian knock down accident is caused by the driver’s speeding, it is far more likely to result in a fatality. Pedestrians involved in knock down accidents are often seriously or fatally injured due to the sheer speed and weight of the vehicle. Pedestrian accidents can result in broken bones, head injuries, various back and neck injuries, and even death. The survivors of pedestrian knock down accidents can face multiple surgeries, as well as months – even years – of expensive rehab. They may need to use costly prescription drugs, specialized equipment and nursing care for the rest of their lives. The injured victims of pedestrian knock down accidents might never be able to work again, and in the case where a fatality occurs, the family of a victim is often left without an important means of financial support. While the Florida pedestrian knock down lawyers at our firm are aware that no amount of money can make up for your pain and suffering, a fair settlement will enable a pedestrian knock down accident victim to obtain the financial security they need to maintain a good quality of life. Our Florida pedestrian knock down accident lawyers have helped hundreds of victims and their families recover from these tragedies. If you have been injured in a pedestrian knock down accident caused by the negligence of another, we will work hard to make sure you receive the compensation you deserve. If you or someone you love has been injured in a Florida pedestrian knock down accident, you have valuable legal rights. Please fill out our online form, or call 1 800 LAW INFO (1-800-529-4636) to discuss your case with one of the experienced Florida pedestrian knock down accident lawyers at our firm.